If you'd rather skip the picture instructions, do please nip to the end where you'll find the pattern without. 9 half trebles in second chain from the hook. 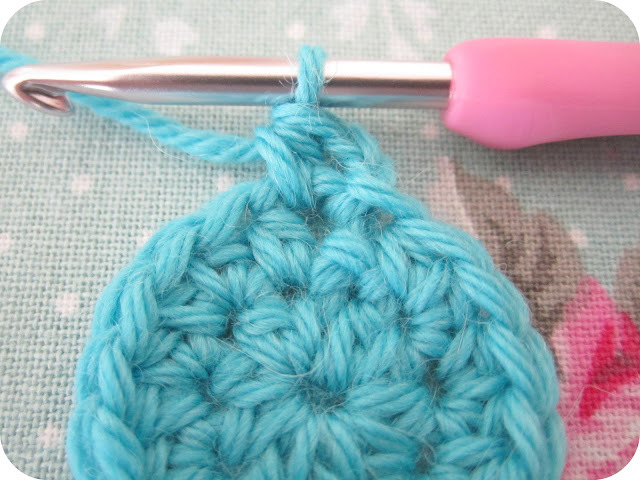 Slip stitch to first half treble to close the circle. 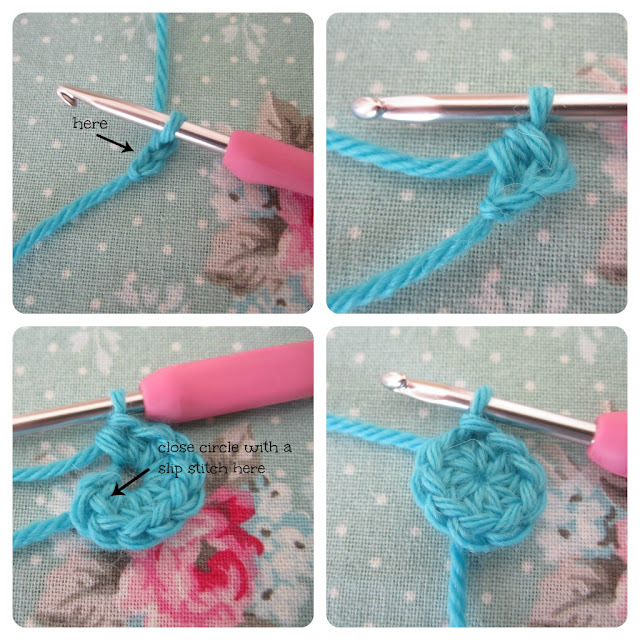 A small tug on the starting tail of yarn will close your circle nice and tightly. Chain 2 (counts as one half treble) and half treble in the same stitch. 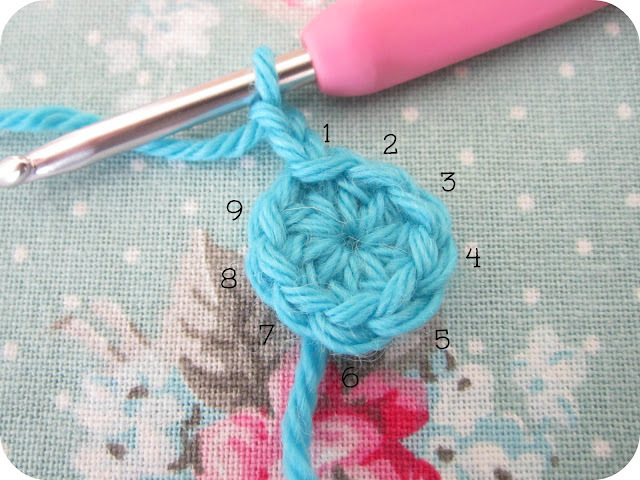 Two half trebles in each of the following stitches in the round. Slip stitch in the space created by the chain 2 at the beginning of the round. *One half treble in the next stitch. Two half trebles in the next stitch. * Repeat ** to the end of the round, ending with two half trebles in the last stitch. *One half treble in the next two stitches. Two half trebles in the next stitch. * Repeat ** to the end of the round, ending with two half trebles in the last stitch. *One half treble in the next three stitches. Two half trebles in the next stitch. * Repeat ** to the end of the round, ending with two half trebles in the last stitch. *One half treble in the next four stitches. Two half trebles in the next stitch. * Repeat ** to the end of the round, ending with two half trebles in the last stitch. *One half treble in the next five stitches. Two half trebles in the next stitch. * Repeat ** to the end of the round, ending with two half trebles in the last stitch. Do you see the pattern emerging? Each round, you will simply increase the number of half treble stitches in between those with two half trebles. You may also notice that you will always be performing your two half trebles in the middle of the previous round's two half trebles. Follow the stitches along the arrows - they're all two half trebles. Does that make sense? Continue until your circle is large enough for it's purpose! You should see the pattern emerging. 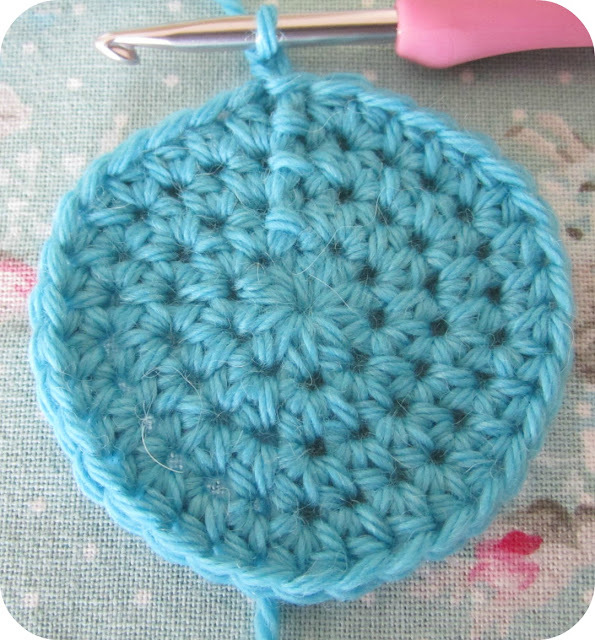 Continue with each round, simply increasing the number of half treble stitches in between those with two half trebles. 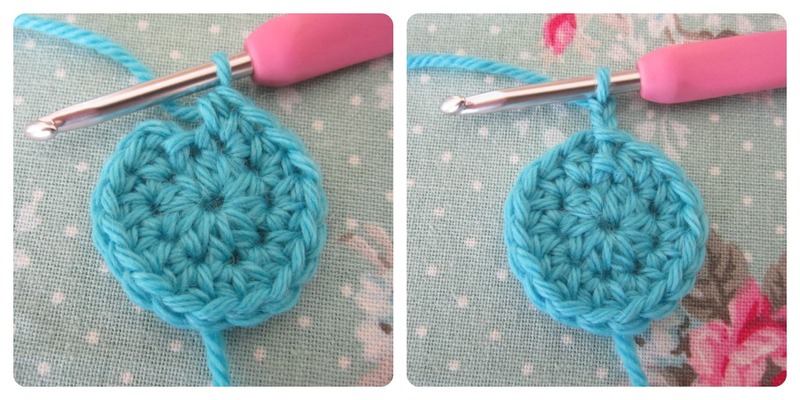 To make my cushions, I simply crochet two same-sized circles this way and then double crochet (single crochet US) them together. Try and ensure your slip stitches aren't too loose - if they're the same tension as your crochet stitches, they will be less noticeable. I also always crochet my circles a little smaller than the round cushion pad I'm using - again, it adds to a neater and more even finish. Do please let me know if you get stuck or see any glaring booboos!!! Edited to add : I used this pattern to make the leaves and this pattern to make the rose. Thank you for the tutorial, I will be making one of those very soon. Really lovely. I am very fond of half trebles too! Oh my goodness, so neat and pretty and perfect! Thanks for sharing the instructions, it looks lovely Heather, especially with the pretty scalloped edge and flower decoration! H, apple brooches are available now is you want to pop on IG for a mo or my Etsy shop is opening next week. Hope you are fine and dandy. They take a lot of time and thought these tutes, don't they. You done good, my babber. Hello, i absolutley love your blog, its the first blog i descovered and now im hooked (pardon the pun! ), i always check in on you every week! Thank you for the tutorial, i will definately be making one, but i was wonderng what yarn you used? I love the subtle spring tones and it looks super sort. You always use such beautiful colours! Thank you very much for this tutorial. I love your cushion it is just gorgeous. 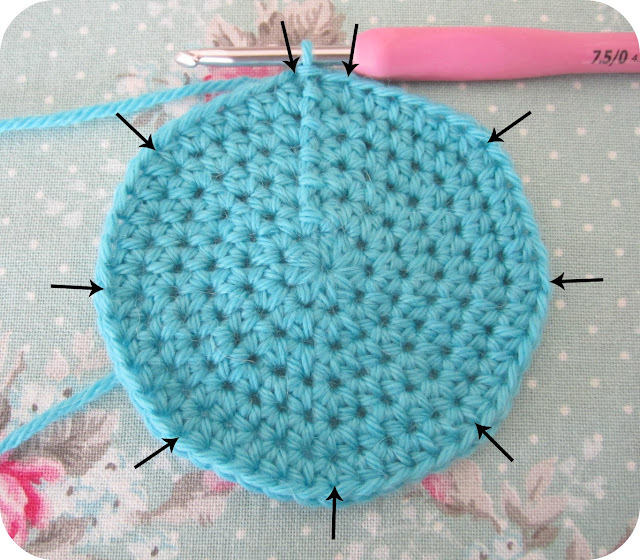 I really want to try this soon as I love crochet at the moment and you can never have too many cushions can you? Wonderful tutorial, Heather! Your cushion is so beautiful, it's so kind of you to share how to make it too! 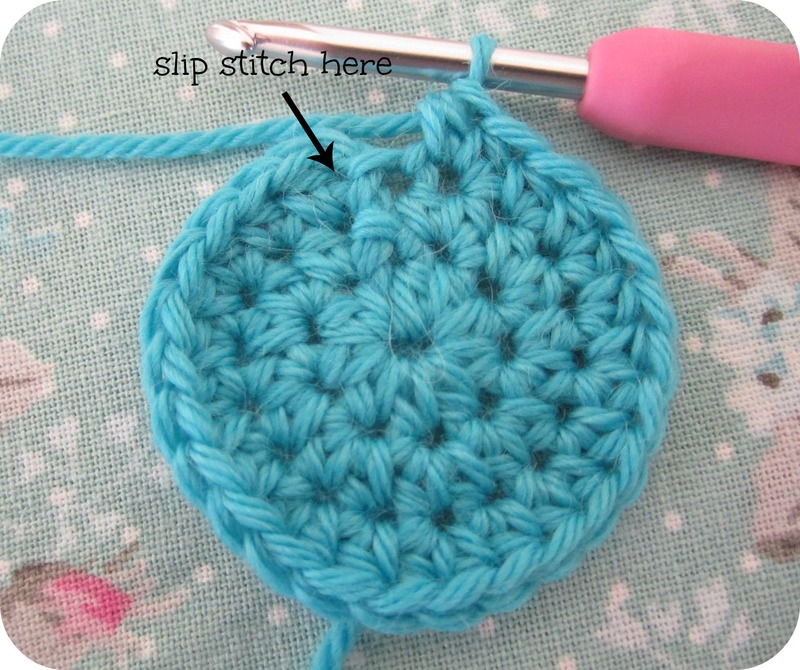 Thank you very much for the pattern, I'm gonna try it someday! I just found your blog, and what a lovely blog !! 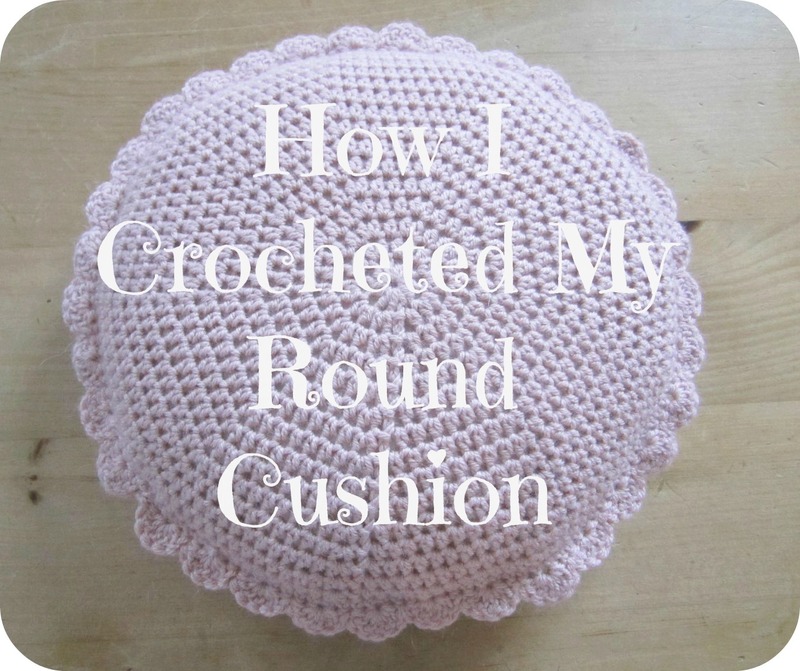 Your round cushion is just gorgeous !! Thanks so much for the tutorial, it's really kind of you to post it. I will definitely make one!! 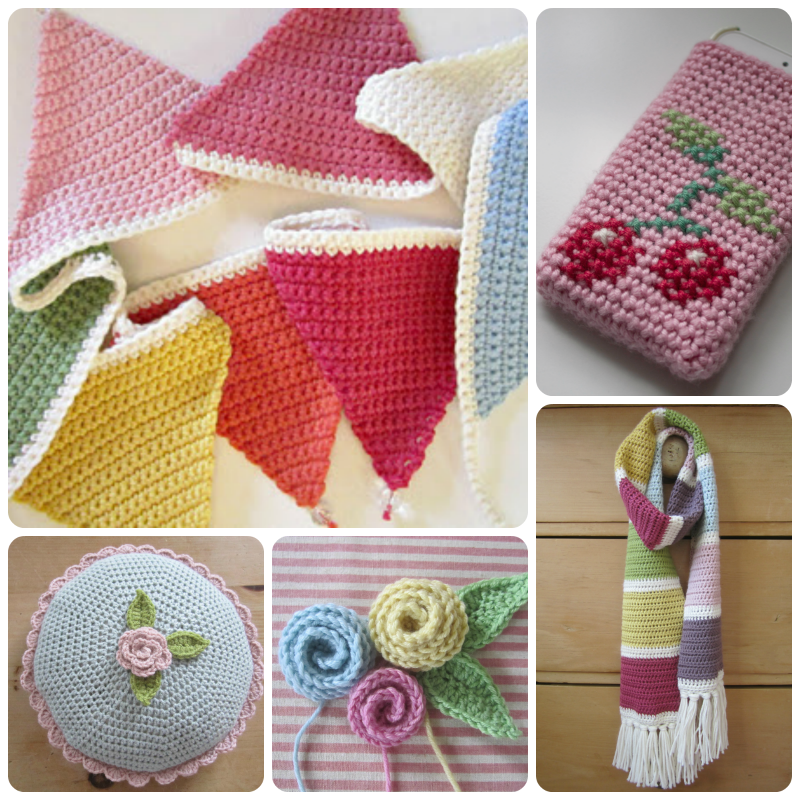 I love the yarn you chose aswell and the pretty Greengate eggs of the previous post (I think that the blue one is my favourite). What a lovely cushion. Just one question - how do you make the pretty frill round the edge? slip stitch in first dc, skip the next dc, *five trebles in the next dc, skip the next dc, slip stitch in the next dc, skip the next dc*, repeat ** all the way round. Such a beautiful cushion. Just one question - how do you make the frilly edging? I love this! I'm currently attempting it. But my hole in the middle no matter how many times I try I can still get my pinky in it, so I'm wondering if that's why the large I make my circle the more wavey and less flat it becomes? This is adorable!! I am going to make one!! Thank you for sharing!! I have just seen this on pinterest - thank yo so much for the brilliant tute. Will be giving this a try. 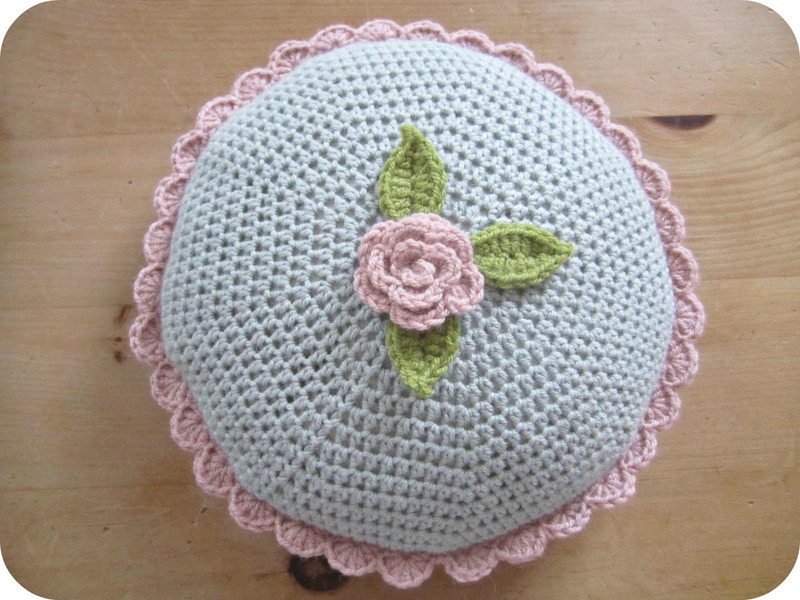 Lovely little cushion that inspired me to make my own. pop on over to see it at my blog http://budandbug81.blogspot.com/2014/05/lovin-life.html. You really inspire me to create! Thanx again! Very cute pillow..and best pattern thanks for sharing.. I really want to make this, but I don't know what yarn or needle size you used. Thank you for sharing this lovely pattern. Do you have the pattern for the flower and leaves? They look much neater and prettier than some I have seen. Lovely clear instructions - I shall have a go at one of these in the new year! Just finished a small pillow for my bed using Patons Metallic in Metallic Green. Love how it turned out. Thanks for the easy to follow pattern!